ASCE's Civil Engineering Club™ initiative is an after school program that offers students an opportunity to learn more about the civil engineering field. 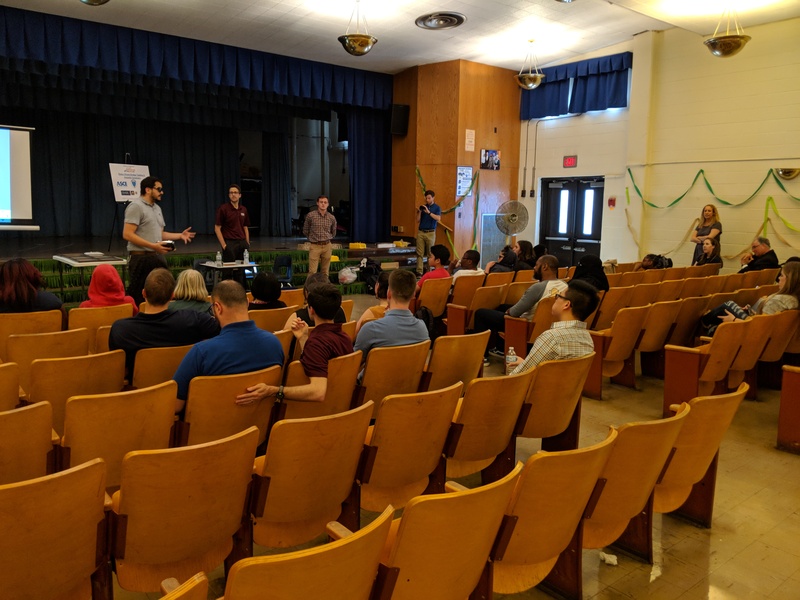 In 2012, in an effort to bring this exciting opportunity to Philadelphia, the Philadelphia ASCE YMF started the first Civil Engineering Club in Pennsylvania at the Chester A. Arthur School. At the time, it was one of only 10 programs recognized nationally, and the only program catering to middle school (6th-8th grade) students. The major goals of the club are to show local students the diversity within civil engineering, and to have all of the students understand that anyone can be an engineer if they want to be and are willing to work for it. Also, more information is available by visiting ASCE's Civil Engineering Club website, including details on how you can start your own club at a local school and useful resources for anyone doing student outreach! 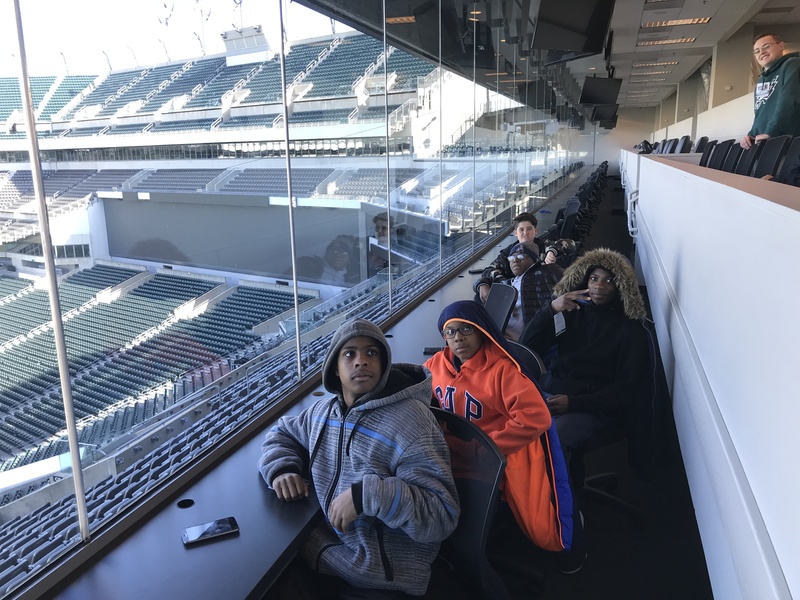 On Monday, March 26th, students and volunteers from the Chester A. Arthur Middle School Civil Engineering Club visited Lincoln Financial Field, the home of the Super Bowl LII Champion Philadelphia Eagles. 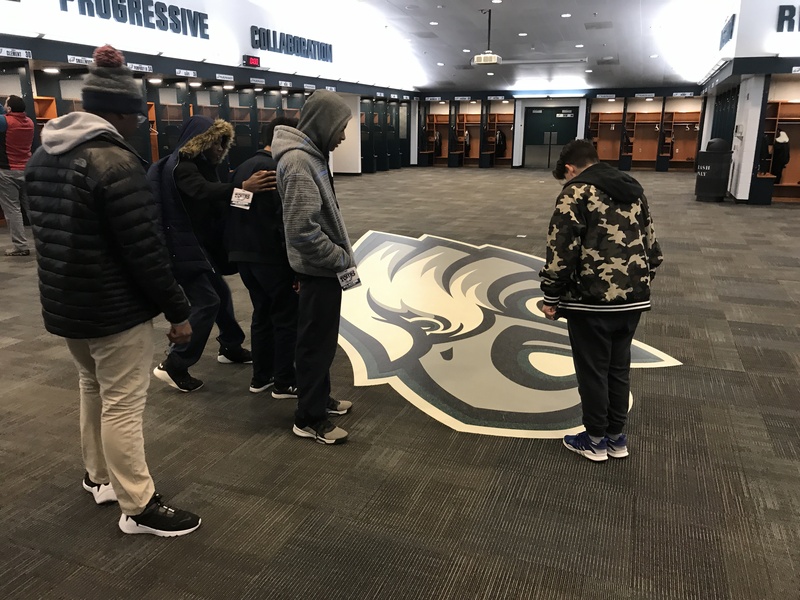 The tour of the Linc included visits throughout the whole stadium, including the press and spectator suites, the press room, the Eagles locker room, and the field itself. Parts of the tour focused on the sustainable infrastructure and practices employed by the Linc during gamedays and other events, giving the students a better understanding of what makes the building LEED Certified and why it is important for our environment. 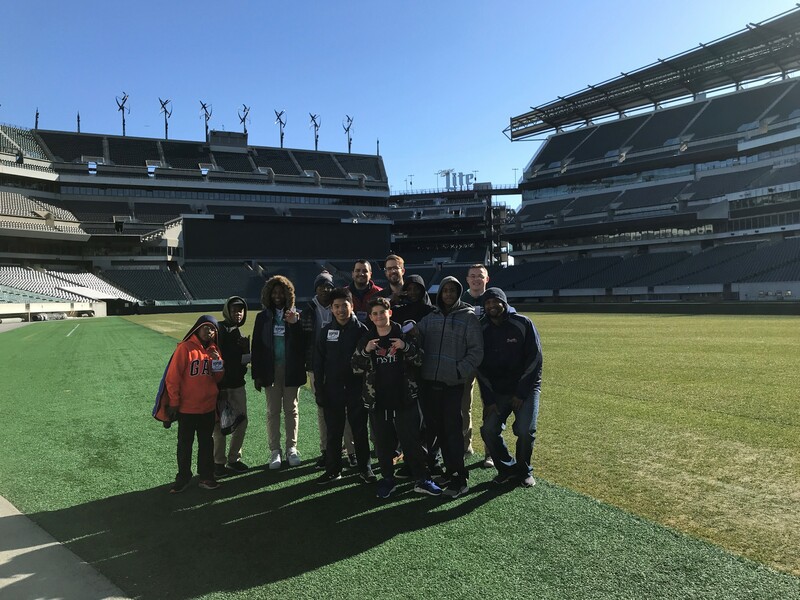 Thank you to the staff at Lincoln Financial Field for providing such a memorable experience to our club members! 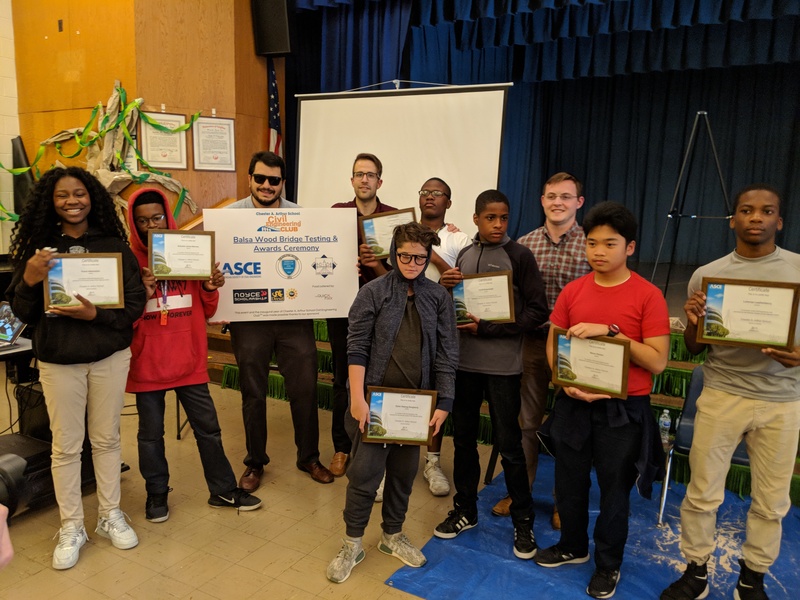 The ASCE Philadelphia YMF Civil Engineering Club at the Chester A. Arthur School concluded its 6th consecutive year with the Balsa Wood Bridge Building and Awards Ceremony on June 4th. This year proved to be another success thanks to the school, staff, volunteers, sponsors, and most importantly, the students, who helped to make the club run smoothly throughout the year. The end of year ceremony yielded a riveting display of competition amongst club members. The days preceding the event were full of last minute change orders, but in the end a diverse collection of 7 balsa wood truss bridges stood to be tested with beach sand loading. It was a warm, tense June afternoon in the Chester A. Arthur School auditorium, and all 7 bridges ultimately stood up (to some degree) to the rigorous loading applied to them. The tension in the room grew to be hotter than the early June weather, and in the end it was one bridge that took home the gold for both efficiency and most mass bearing (both judging categories!). 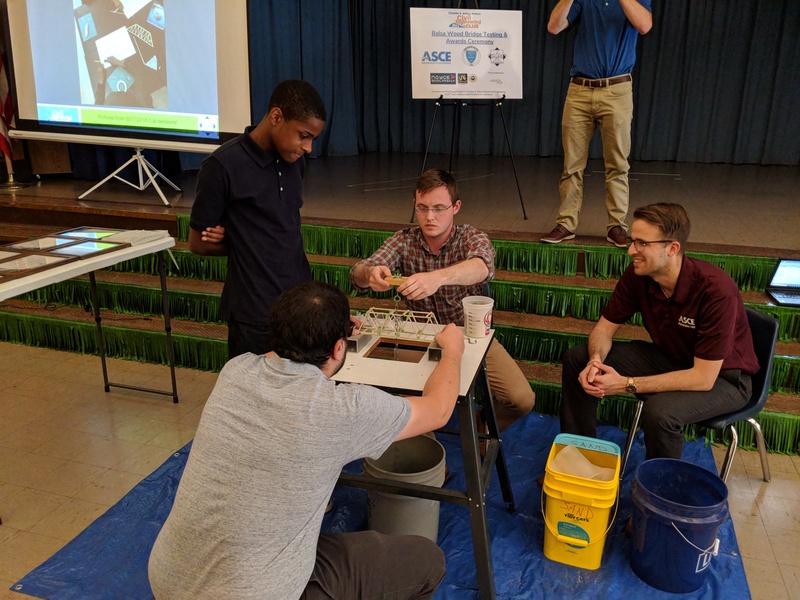 The ASCE Philadelphia YMF would like to extend a special congratulations to Kiana Habersham, engineer of record for this winning bridge, and to all of the participants for their dedication and contribution to the club this year. For an additional perspective on the creation and running of our Civil Engineering Club, Jesse Gormley, one of the founders of the Club, wrote an article about his experiences in 2013, which can be viewed through our Articles page here. Thank you for viewing this page and please enjoy the galleries below from various working sessions and videos about the Club.